Happy Deadpool Day! 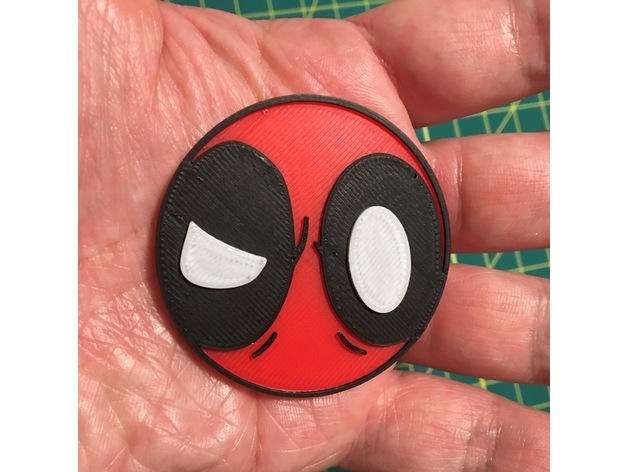 I didn't see this design on Thingiverse so I drew it up in Fusion 360 and printed it with different color layers using Prusa ColorPrint. 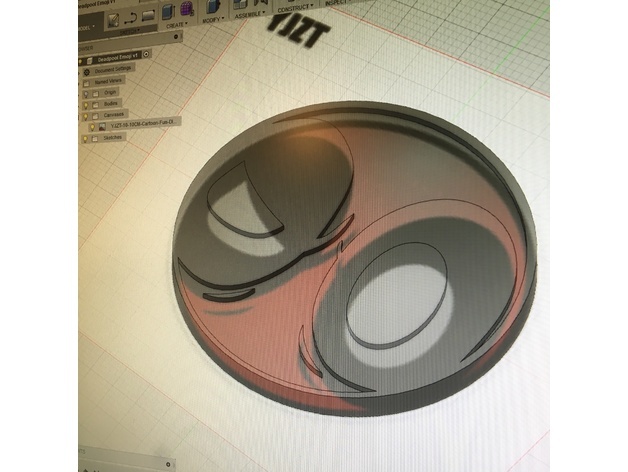 Basically all I did in Fusion 360 was build up layers, one for the base, then one for the eye thingees, then one for the pupils. And then I printed each layer with a different color. And here's the emoji coin in my hand. It's about 2 inches in diameter but you could scale it up or down. 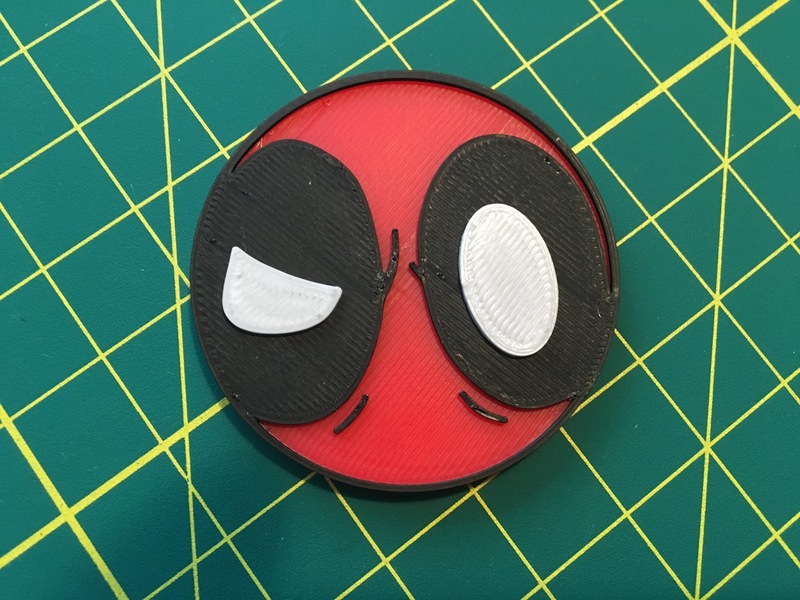 So if you'd like to print it, I've uploaded the 3D model to Thingiverse. Happy printing!